Bill Capodagli (pronounced Cap o die) co-authored one of Fortune magazine’s “Best Business Books of 1999,”The Disney Way: Harnessing the Management Secrets of Disney in Your Company. 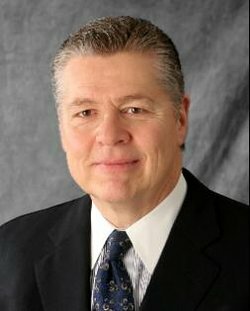 Prior to co-founding Capodagli Jackson Consulting in 1993, Bill held managerial positions at the consulting firms of AT Kearney and Ernst & Whinney (now Ernst and Young). From 1991-1993, Bill launched the University of Southern Indiana’s business consulting initiative and began teaching The Disney Way principles to an international client base. His popular speaking engagements on the topics of Disney/Pixar leadership; Pixar innovation; and Disney customer service, are transforming both entrepreneurial and Fortune 500 companies alike. Morris: Before discussing the new edition, here are a few general questions. First, who has had the greatest influence on your personal growth? How so? were located across the street from the Chicago commuter train station, and we sold newspapers, tobacco products, candy, magazines and various sundries. We were open from 5:30am till 6:00pm Monday through Thursday, 5:30am till 9:00pm Friday and Saturday and 5:30am-Noon on Sunday, 365 days a year. Throughout grade school, I helped open the store every morning, then I walked to school; in high school and when I was home from college, it was my job to work Saturdays and Sundays. My mother’s work ethic, her attitude, and the way she treated each and every customer as if they were her best friend were better lessons than could be found in all the text books in the world. Capodagli: The two greatest role models in my professional career were Walt Disney and Dr. Deming. Dr. Deming was the Father of Total Quality Management and the person who redefined quality for the entire world. In the mid-1980’s, I was a Senior Manager at the consulting firm of Ernst & Whinney, now Ernst & Young. We sponsored the Deming Institute for one year, and my staff and I had the opportunity to work with and be trained by Dr. Deming. It was about this time that I started using Walt Disney’s Dream, Believe, Dare, Do success credo as a model for our clients. Many of my consulting engagements involved using various industrial engineering and 6 Sigma analytical tools to improve profitability. From Deming’s teachings, I came to the realization that statistical and analytical tools alone would not result in long-term change. Dr. Deming taught the world about statistical process control, but his famous 14 Points to Transform an Organization are mostly about cultural change; to name a few: constancy of purpose, adopt a new philosophy, drive out fear, and break down barriers between departments. Like Deming, Walt Disney’s success formula is also all about creating a customer-centric culture. These great men inspired me to guide my clients to transform their cultures, not focus on short-term improvements. When you focus on results, you will very seldom see a change in your culture. But, if you focus on a customer-centric culture, you will realize long-term results. When Walt spoke to his Cast Members just prior to the opening of Disneyland in 1955, he told them that Disneyland was a “magic kingdom” and would be a “happy place for millions of Guests who will visit us now and in the future years”. He clearly planned for the long-term. Capodagli: My degrees are in economics and mathematics. My first job was in the actuarial department of a large insurance company. After two years of looking at numbers all day, I had the opportunity to join a newly created internal consulting group. The insurance company hired an industrial engineering firm to train our team in work-flow analysis, engineered time management standards, short interval scheduling and other industrial engineering techniques. Without my formal education in econ and math, I never could have landed the job as an actuary. And even though those two initial years were tedious and at times really boring, it gave me a solid foundation for estimating the outcome before diving into a problem; and, I learned to make sure the answers are always reasonably close to the estimates. Capodagli: In 1991, I accepted a position at a small university to create one of the first academic centers for total quality management. It was here that I met Lynn Jackson, my co-author and future wife. Lynn has advanced degrees in counseling and organizational development. By merging Lynn’s management “soft” skills with my industrial engineering and 6 Sigma skills, we were able to guide both local and international clients to transform their cultures. In 1993, we launched Capodagli Jackson Consulting and a few years later, the first edition of The Disney Way was published. The synergy that Lynn and I have, both professionally and personally, was the catalyst that has kept both of our careers on a long-term course. Capodagli: I believe that Walt’s success credo is as applicable to one’s personal life as it is to an organization. When you are young, if you can define your long-term dream, – something that you can get passionate about – solidify your values, dare to take a risk and then put a plan together to accomplish that dream…that could be the difference between success and failure in life. When I graduated from college, my dream was to get a job and pay off my college loans. I wasn’t passionate about the insurance business or actuarial science, but it seemed like an “okay” job. I was lucky enough to begin a career in management consulting that I passionately pursued for forty years and continues to this day. Morris: Of all the films that you have seen or books you have read, which – in your opinion – best dramatizes important business principles? Please explain. Capodagli: When the Game Stands Tall. This amazing story is about the phenomenal De La Salle High School Spartans football team that became famous for their 151-game winning streak under coach Bob Ladouceur. It is one of the best examples of the importance of individual efforts and teamwork. Every Monday, each player wrote one practice goal, one weight lifting goal and one game goal. Then, the players would share their goals with fellow teammates who were responsible for helping those goals be accomplished. Bob never talked about winning. He stressed being true to yourself and giving your best individual effort. But when asked the secret to his success, he will tell you it is not about “x’s and o’s”…it all about the most basic of human emotions – love. He has found a way to turn self-centered teenagers into caring and sharing teammates. I consider it a “must see” or “must read” for any team, from Little League baseball to every corporate executive team. Capodagli: This is one of my favorite quotes. The role of any exceptional facilitator or consultant is to work themselves out of a job. Capodagli: This is great if you know all those “not to do” strategies. Sometimes you learn the “not to do’s” by doing. The key is to fail forward fast. Try, fail, learn, and quickly try again. Often we will learn more from our failures than we do from our successes. Capodagli: This is why we need to “Dare” to take the risk to try new things. In today’s global economy, innovations and improvements to products and services are not only happening more rapidly than ever before in history, they are being communicated instantaneously. So, it’s “innovate or die”! Capodagli: Not remembering Edison’s quote, we wrote in The Disney Way, “Vision without execution is like a plane without wings, or Dumbo without ears, it just won’t fly.” An idea becomes great when it becomes tangible. Capodagli: Productivity starts with doing the right things. The two critical questions to ask are: “Who is my customer?” and “What value am I adding?” Unfortunately, many workers cannot answer these questions. They tend to blindly do things, and develop bad habits of doing things over and over for no good reasons. We had a client who went to great expense to perform a monthly quality control test for a specific production line. When we evaluated the process, we discovered that no one could identify a customer or explain what value the test was providing. My client even contacted a long-term retired employee to try to figure out why they had done the test in the past. Even this employee could not explain the reason. So, the test was eliminated. The key is to make sure you are doing the “right things” before you worry about doing things “right”. Capodagli: People are over 20 times more likely to remember a story than a series of facts and figures. A good story touches our hearts. There is an old Indian saying, “When legends die, dreams end. When dreams end, there is no more greatness.” Leaders like Walt Disney inspire their organizations to keep their legends and stories alive. Capodagli: This requires total “immersion” in the “dreams, values, and codes of conduct for a new customer-centric culture to be realized. In 48 hours of elapsed time (16 hours is the actual time spent in workshops), employees experience presentations and exercises, and engage in discussions about the new culture. In what we call Leadership Week, top management and other leaders create the cultural elements required to become customer-centric; then, over time, in a workshop setting, all employees are immersed in the newly defined culture. The reason for the 48 hours of immersion is that it takes time for employees to “break down” their old values and habits, and to realize why those are no longer applicable in the “transformed” culture. Also, they need time to begin understanding why the new values and behaviors are essential. In over three decades of working with organizations, we have discovered that this process takes about 48 hours of elapsed time. Capodagli: Speed of communication. Twenty years ago if you provided someone with horrible service, it may take weeks or even months for the word-of-mouth message to get out to 15-20 potential customers. Today, with social media, thousands of potential customers can learn about horrible service within hours, minutes or even seconds after it happens. Social media can work to a CEO’s advantage as well. Someone with a great product in a small town in the middle of nowhere can compete in the world marketplace. In 1962, Sam Walton changed the face of retailing with Wal-Mart. As we speak, Amazon is again changing the face of retail with on-line buying.